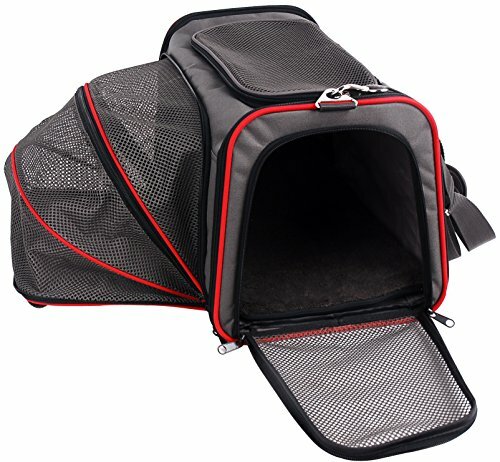 Kitty will feel like royalty when dining at this specially designed pet feeding table. 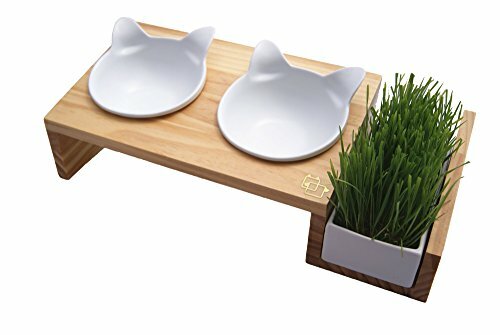 The wood grain stand includes two ceramic bowls and an oversized side tray for serving water, cat grass, or other delicacies. This solid pine stand is a quality piece for beloved kitties. The stand holds two ceramic cat face-shaped bowls at a comfortable angle for easy munching. 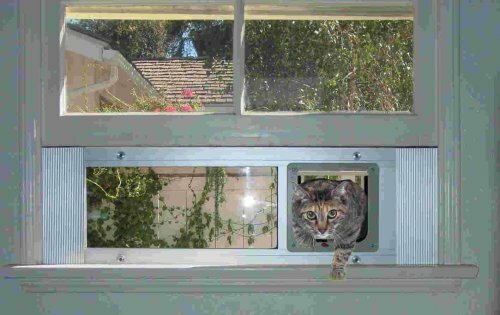 The side container rests level with the ground and can be used to store drinking water or to grow declicious cat grass. The stand has non-slip feet to keep the unit in place no matter the floor surface. A raised stand like this with fitted bowls is great for cats that have digestive issues. Eating in a comfortable standing position may help kitties with sensitive stomachs or other health issues. The bowls also stay in place, which prevents over-excited eaters from moving their food bowls or actual food around.